Rogue World Music sponsors a seasonal concert series that features outstanding world folk musicians from around the country and the world. These concerts are performed at intimate local venues and offered at a sliding price scale to make this music widely accessible to the public. We also offer the opportunity to sing with our visiting musicians through vocal and dance workshops. October 16 Bulgarika 7 pm concert at Paschal Winery (sliding scale $10-$15 at the door) + Vocal workshop from 3-5 pm at Pioneer Hall (open to public). Workshop cost is $15. November 5 Alchymeia 7 pm concert at Paschal Winery (sliding scale $10-$15 at the door) + workshop from 10-3 pm at Headwaters (open to public). Workshop cost is $45. November 20 Choristers at Havurah. A free show for friends and family of the Choristers. December 2 Caroling on the Ashland Plaza with Rogue World Ensemble and Rogue World Choristers. Join us! Hot cider and donuts for sale. 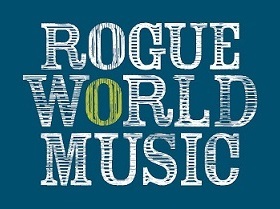 For more information about our concerts go to rogueworldmusic.org.